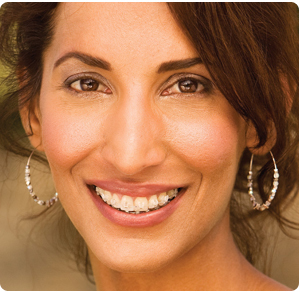 Dr. McDade is a 5-star-rated orthodontist for self-ligating clear braces in Camarillo, CA, Oxnard, CA and Santa Barbara, CA. In-Ovation® C is a self-ligating type of braces that allows more control during your orthodontic treatment than most traditional metal braces. These clear ceramic braces are a great choice if you are aesthetically conscious, as they let your natural tooth color show through, resulting in an almost invisible appearance. Clear braces are similar to traditional metal braces, except that they are clear! Clear braces are a less noticeable alternative to traditional metal braces and provide you with an equally effective orthodontic treatment. To learn more about In-Ovation® C, watch the video below. Schedule Your Free, No-Obligation Smile Consultation for Clear Braces in Camarillo, CA, Oxnard, CA & Santa Barbara, CA, Today! Join the over 10,000 happy smiles transformed at McDade Orthodontics! During your complimentary consultation for braces, you can decide if clear braces are right for you. Dr. McDade can provide answers to your questions and extra information explaining the benefits of each type of braces and orthodontics. If you would like to learn more about clear braces and all of the types of braces available to you, please contact one of our orthodontic offices to start your journey to a straight smile today! Call 805.485.3200 to schedule your free, no-obligation smile consultation with our 5-star-rated orthodontist for clear braces in Camarillo, CA, Oxnard, CA, and Santa Barbara, CA. To request your consultation online, click here.